​Anathan "ana" Pham rejoined OG's active Dota 2 lineup Wednesday, the team announced. Ana has been a longtime member of the OG lineup, joining in the team's earliest days in 2016. He played for the team through The International 7 before embarking on an extended break from ​Dota 2 competition. 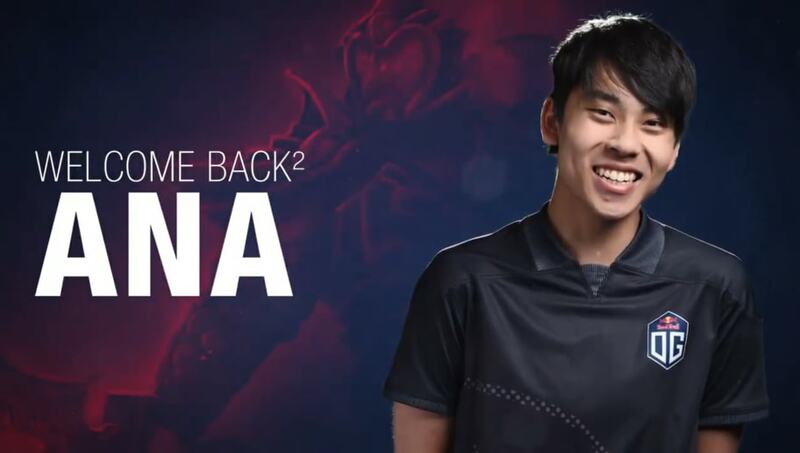 After his break, ana briefly played for Echo International before ​returning to OG in June. He and the rest of the team successfully powered through the TI8 bracket, going from the bottom-ranked team at the event to its ultimate winner. After the win, ana announced a second break from professional Dota, ​moving to OG's inactive roster in November. Throughout his absence from the team, ana's fans remained vocal hoping for his return to the active lineup. Four months after leaving for his hiatus, ana made good on that return. OG now fields the same roster it did when the team took home the TI8 Aegis.